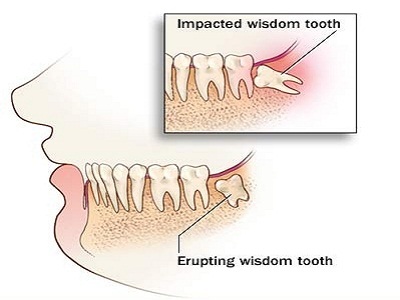 Wisdom teeth mostly lower erupts in an angulated position due to less space present in jaw. Therefore the tooth won’t be able to erupt completely and a part of it will be embedded in the jaw bone. 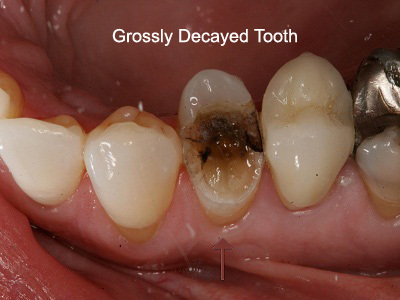 This may cause severe pain, swelling and pus formation around the teeth in the gum. 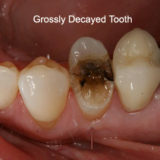 So, in order to remove these teeth, we use surgical approach as these teeth can’t be accessed easily. The procedure is done under local anaesthesia. After giving LA, we make an incision in the gum, followed by cutting of bone surrounding the tooth and then take the tooth out and sutures will be given for 5-7 days. Accidental trauma causes fractures of jaw bones and lead to displacement of fractured segments causing pain, swelling, altered shape of facial structures and loss of function. If it is a minor fracture it heals off by itself within a short period of time and requires pain killers and antibiotics only. In case of moderate to severe fractures, we do intermaxillary fixation i.e.tying the teeth of opposite jaws together in order to reduce the movement of fractured segments and hold them in their correct place for atleast 4-6weeks to achieve stability. 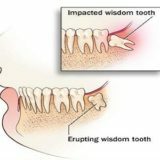 Swellings in jaw may occur as a result of erupting wisdom teeth, as a sequelae of caries, injury, post surgery, cysts, tumours or due to swelling in glands. Small swellings like those because of wisdom teeth or post extraction resolves by itself after few days following use of antibiotics. Swellings that occurs due to cysts and tumours requires surgical excision of swelling as if not treated these swellings may cause severe breathing problem, altered facial appearance and permanent damage to the jaw. Jaw correcting surgeries are called ORTHOGNATHIC SURGERY. Malpositioned jaw can be either by birth or due to injury to jaw while developing. It causes difficulty in chewing and speaking as well. These surgeries helps in aligning the teeth and the jaws in an esthetic pleasant position. Orthognathic surgeries reposition the jaws into their correct position. The procedure is done under general anaesthesia. During the procedure, the malpositioned jaws are cut and placed back into their correct predetermined position and are stabilized using plates.